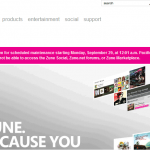 As of midnight tonight, Zune services will be going down for maintenance, and will be out of commission for up to two days. While this is probably devastating for Zune pass subscribers, at least the powers-that-be at Zune.net are doing things right. On Sept. 26, I received an e-mail message letting me know that the services would be unavailable during that time. In addition, if you visit the Web site right now (there’s a screen shot to the right), there is a very blatant message informing you that the services will be down for up to 48 hours. 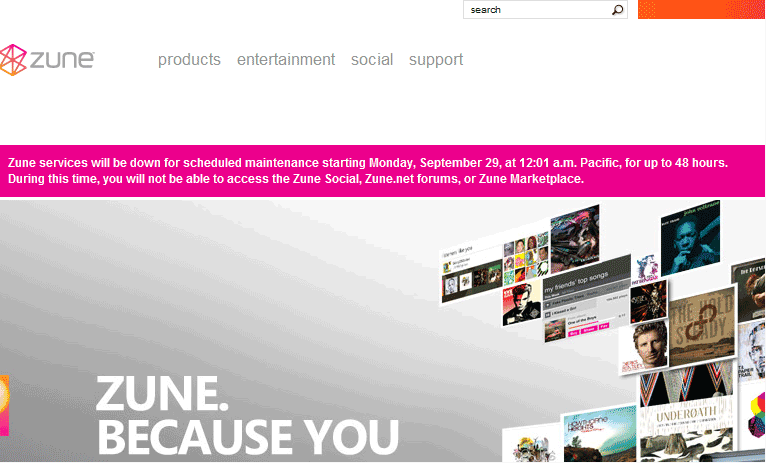 While I’m not sure this maintenance downtime is going to be good for the Zune bottomline or increasing its following, I am hoping that the maintenance will also include some nice upgrades to the service. I simply cannot imagine iTunes being down for two days (although, I suppose it’s possible that it’s happened, since I never use iTunes, personally). It seems like an odd business decision, but I am impressed with the level of notification.